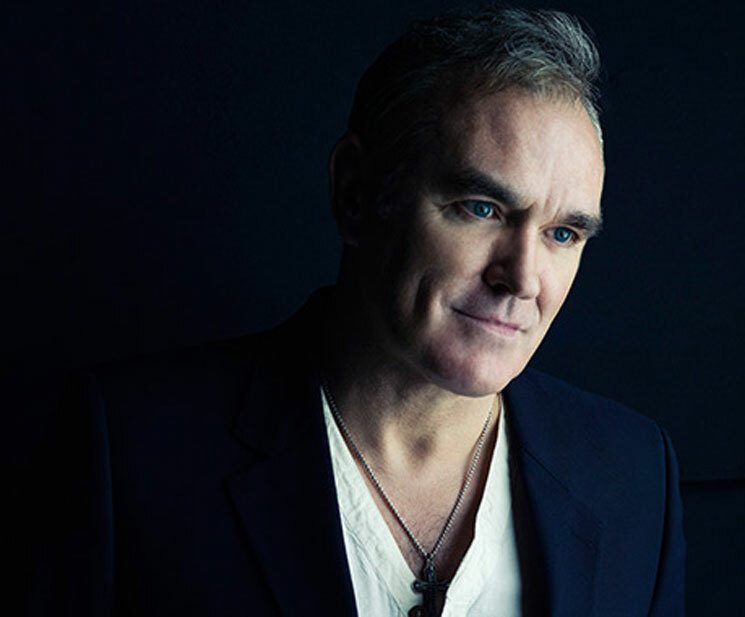 Morrissey Scraps Iceland Show Due to Meat-Friendly Venue's "Flesh-Eating Bloodlust"
Aside from music, Morrissey is widely known for two things: his dogmatic views on vegetarianism and his tendency to cancel shows. Now, he has found a way to unite those two passions by scrapping plans for a show in Reykjavik over the issue of serving meat. It seems that the show hadn't actually been booked yet, and Moz was trying to arrange the date at the Harpa Concert Hall in the Icelandic capital. The plans fell through, however, because the venue refused to stop selling meat on the night of the show; the singer stipulates that venues must serve only vegetarian food on the nights of his performances. In a typically barbed statement, the ever-quotable Morrissey said [via True-to-You], "I love Iceland and I have waited a long time to return, but I shall leave the Harpa Concert Hall to their cannibalistic flesh-eating bloodlust." It seems that no other venue in the city is available, so Reykjavik fans are out of luck. Although Mozzer might want to be a little more judicious about his use of the world "cannibalistic" — because, regardless of your views on eating meat, what he is decrying is completely different from actual cannibalism — we can't blame him too much for this one. He's very upfront about his vegetarian-food-only policy, and large arenas have been able to accommodate him in the past. Meanwhile, Morrissey continues to boycott Canada because of its seal hunt.